The documentation of all Sisulizer Build Server command (SLMAKE) can be found here. 2016 – Sisulizer feiert 10 Jahre Lokalisieren in drei einfachen Schritten. Wir danken Ihnen, unseren treuen Kunden aus aller Welt. Sie haben uns mit Ihren Wünschen und Ideen geholfen, unsere Software ständig zu verbessern. Wir sind stolz darauf, Ihnen dabei zu helfen, Ihre Software für eine Vielfalt von Branchen, Computersprachen, Märkten und menschlichen Sprachen zu lokalisieren. Wir lernen von jeder Ihrer Anforderungen – von kleinsten Entwicklungsprojekten, bis zu Globalen Projekten, mit großen, über die Welt verteilten Teams. Für jeden von Ihnen, halten wir Sisulizer up-to-date und verbessern es jeden Tag neu. In den vergangenen 10 Jahren haben wir viele neue Versionen der gängigen Plattformen kommen und gehen sehen, wie Windows, C/C++, Delphi, .NET, Java, Datenbanken, Android, XML, HTML, PO und viele mehr. Ihr Sisulizer Team hat in dieser Zeit immer hart daran gearbeitet, Ihnen die Möglichkeit zu bieten, Ihre Anwendungen maßgeschneidert für jede neue Plattform zu releasen, bereits vor Release. Um die vielen Details haben wir uns gerne für Sie gekümmert. Wir helfen Ihnen beim Software lokalisieren in drei einfachen Schritten. Hören Sie nicht auf, uns heraus zu fordern. Besuchen Sie unser Forum und verraten Sie uns was Sie suchen. Wir sind bereit für die nächsten 10 Jahre! 2016 Sisulizer celebrates 10 years of software localization in three simple steps. We’d like to thank our loyal customers around the world who support us with feature requests and ideas. 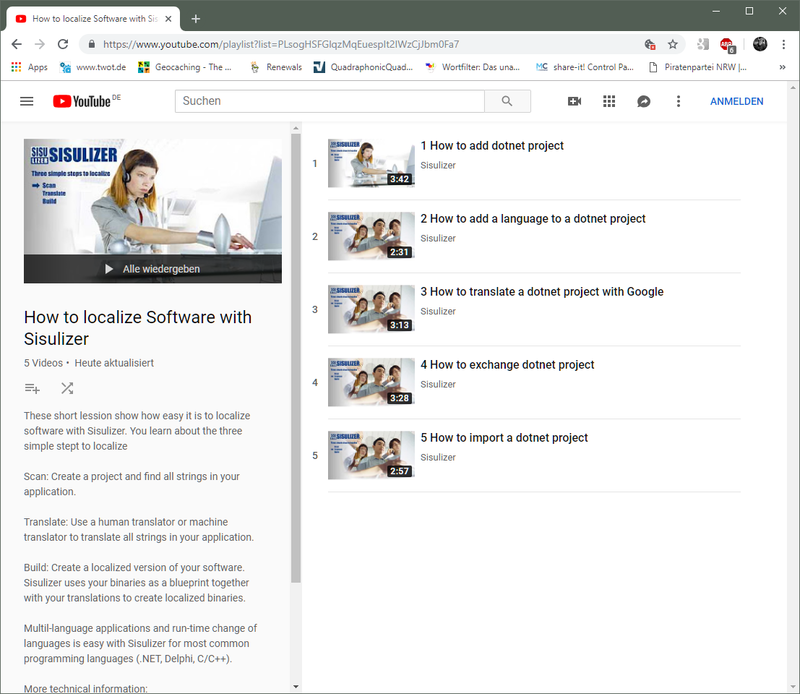 We’re always proud to help you to localize software for a wide variety of branches, computer languages, markets and human languages. We learn a lot from your requests – for tiny development projects, to huge endeavors spread around the globe. For all of you we keep Sisulizer up-to-date and improve it, every day. Please don’t stop challenging us. Visit our forum and discuss what you’re looking for. We’re ready for the next 10 years! Today we had the great pleasure to present Sisulizer in two live webcast sessions at Embarcadero Technology Partner Spotlight. It was a pleasure for us, to finally talk to David I again and answer your questions. We hope you enjoyed it. And if you missed, don’t worry. Embarcadero will publish it on YouTube too. We will post the link when the questions and answer section is online. In the meantime you may want to visit Embarcadero for links to the other sessions with other popular tool developers like Raize, DevExpress, and TMS, to name a view. It would be nice, if you comment it, share it, or give us a thums up. We are curious if you like it, and may want more videos about software localization with Sisulizer. 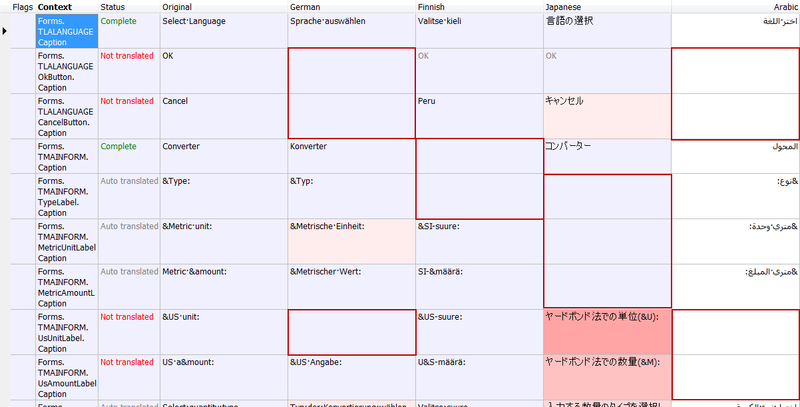 From build 339 you can specify the minimum translation status that are used when building localized items. By default this is the lowest translation status, Not translated, that means all translation are used no matter what the status is. 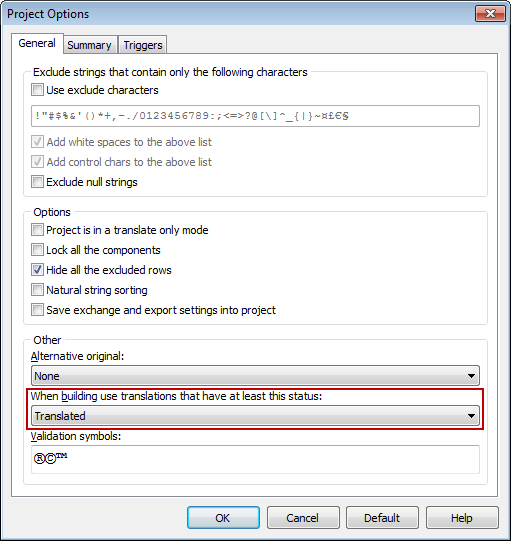 If you set this value to any higher value then Sisulizer uses only those translations that have translation status equal or higher than the value specified here. This new feature is available via Project menu -> Options -> General tab -> When building use translations that have at least this status. If you would like release your application only with high quality and validated translations. You don’t want use poor quality translations provided by machine engines during tests of localized files. They can make unclear those tests and not validated strings with invalid placeholders can crash applications. This feature works on project level, so selected setting is used for all sources included to project. How to install Sisulizer’s samples? 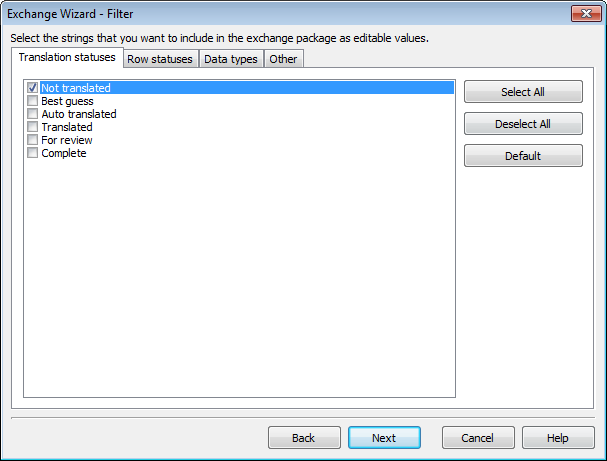 Our samples are very useful for our users and are by default installed during Sisulizer setup. Samples contain not only simple source and SLP files. Typically our samples comes with documentation, resources and code files which can be used within your application, e.g. for implementing switching at runtime. So we recommend installing them with main application. However, if you didn’t know it and unchecked it or you deleted those files by accident, you can reinstall it. Next in “Sisulizer 4 Setup – Select Samples” step check desired items or simply click “Check All” button for installing all those items. Then, click “Next” button in all other steps of setup. All samples are available via menu File -> Open Sample… or via Open Sample button on Sisulizer’s start page. 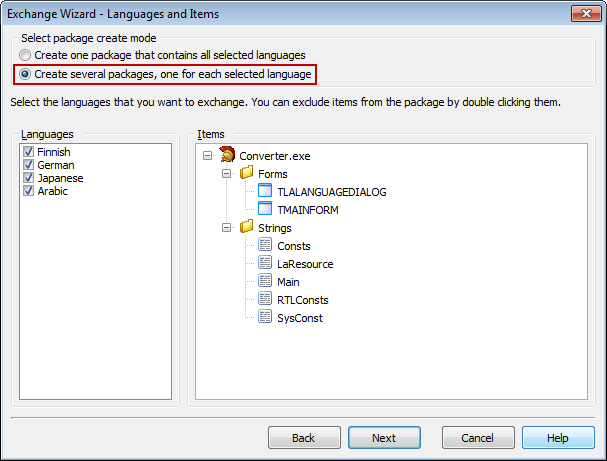 PDF documents about .NET and VCL localization installed to samples folder can be opened via Help menu.